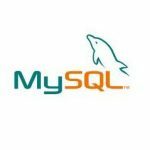 MySQL is the world’s most popular open source database and its the world’s second most widely used open-source relational database management system (RDBMS). MySQL default installation is not securely configured. For the sake of security, we need to run mysql_secure_installation wizard manually in order to perform basic MYSQL hardening on Virtual private server (VPS). The following steps has been tested on MySQL Community Server 5.5.39 that was running on CentOS 6.5 and CentOS 6.6. 2. Set “bind-address” parameter within the “[mysqld]” section in /etc/my.conf. Configure this to your VPS local loopback network device, which is “127.0.0.1”. please make sure that you only perform this step if you confirm no other server will need to access the database on your VPS.